Were you surprised? I was! After learning about Steph’s near death experience, I wondered…could it really have been caused by her hormone replacement therapy? After a few sleepless nights, I decided to review the research again regarding the use of HRT (hormone replacement therapy). There have been many large trials in the past 15 years on women who use synthetic HRT and the results have proven an increased risk of complications (i.e. blood clots, stroke, heart attack, etc.). However, the risk of these complications depends on many things like the route of administration, age, duration and type of hormones used (bioidentical versus synthetic). Since the end of the largest trial (the one we always hear about – called the WHI), the FDA has recommended using hormone therapy only in low doses for a short time for severe menopausal symptoms. Yet, here’s the thing– the WHI study tested only one estrogen (Premarin) and one progestin (Provera), in a single pill (Prempro), at a single dose. So lots of questions still remain. Would a different (bio-identical) estrogen or progesterone have fewer side effects? Would lower doses or a different mode of delivery, such as a transdermal (skin) patch or compounded skin cream, or an implanted hormone pellet be safer? If you are confused about the difference between synthetic hormones and bioidentical hormones, you are not alone. The difference between the two is hotly debated and unfortunately, it is us, the women suffering with hormone imbalance who are caught in the middle. Even my own OBGYN once told me that bioidentical hormones were a waste of money—and anything not recognized by the FDA should not be used. Interesting because the FDA does have an “approved” list of bio-identical hormones. You can view them here in this pamphlet created by Harvard Medical School. So what’s the difference between bio-identical and synthetic hormones? Simply put, a synthetic hormone is a hormone made in a pharmaceutical laboratory from synthetic (man-made) chemical compounds and sometimes non-human compounds like horse urine. Bioidentical hormones are also made in a pharmaceutical laboratory but from plant sources. The significant difference between the two types is how they are taken and how they act in the human body. Synthetic hormones, like Premarin and Prempro have a molecular structure which is not recognized by the human body. Therefore, they are not metabolized efficiently, and according to some researchers, release toxins into the body. However, bioidentical hormones are recognized by the human body because their molecular structure is like what we produce naturally and technically, the body can’t distinguish bioidentical hormones from the ones your ovaries produce. Plus, how we take them (the route of administration) is important too. When estrogen is taken as a pill it needs to be processed through the liver. This stimulates proteins associated with heart disease and stroke and increases clotting factors. But when hormones are delivered by via the skin (transdermally), estrogen isn’t first processed by the liver and — at the same level of blood concentration — doesn’t have these effects. I think the biggest advantage of using bioidentical hormones is that estrogen levels can be monitored more precisely and treatment can be individualized. No more one dose pill for all. But the skeptics would tell me that it doesn’t matter, because no one knows exactly what hormone levels we need to have. That we should be treating the “symptoms” not the blood levels. So I say, why can’t we do both? 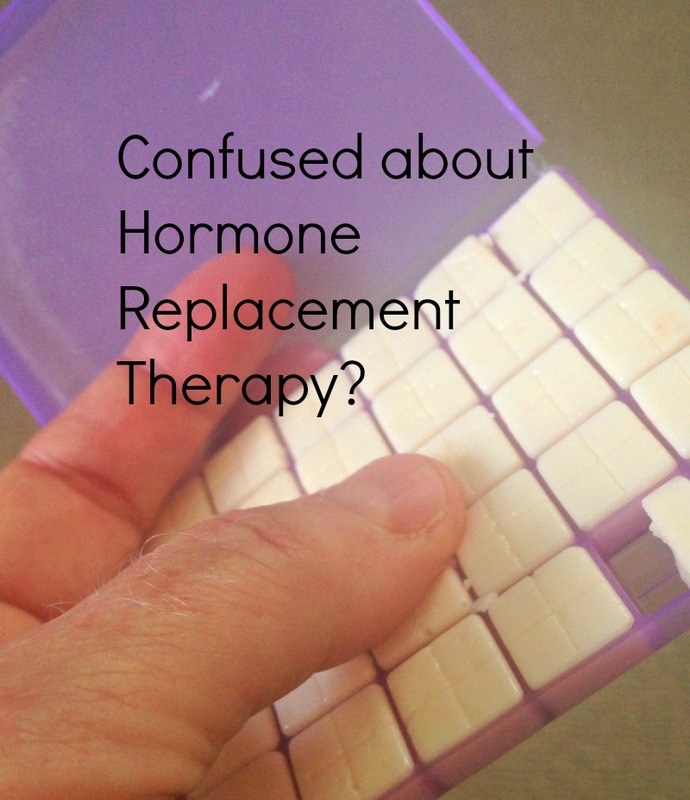 For more on why I use bio-identical hormones click here.